We've known for a few years now that DARPA-funded prosthetics research is yielding some pretty incredible technology. We're not talking incredible in the robotic cheetah sense. We're talking incredible in The Incredibles sense of the term. 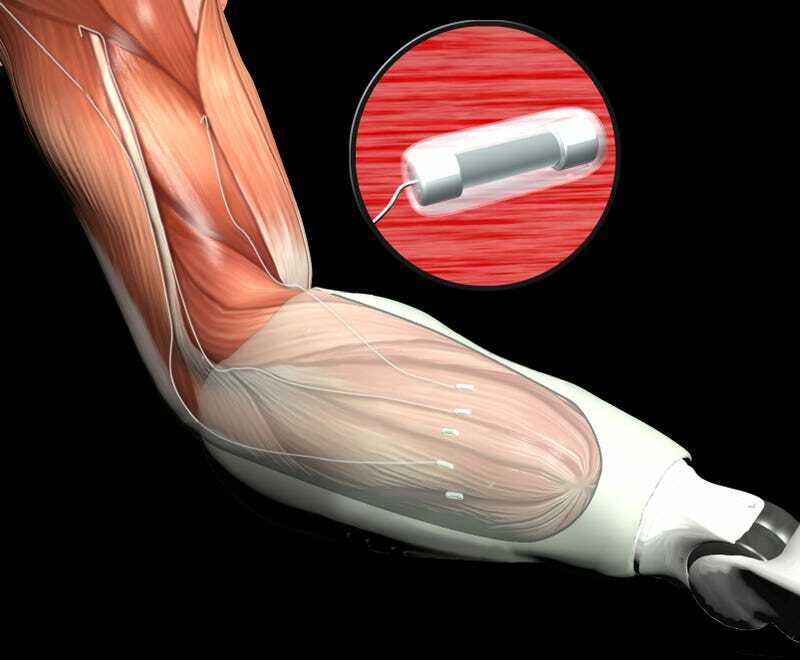 Specifically, DARPA is literally building superheroic technology that enables amputees to control prosthetic limbs with their minds, and it's getting pretty darn good. In science fiction terminology, you might say DARPA is building cyborgs, bionic men and women who for one unfortunate reason or another have lost a part of their body. Thanks to science—and a research project that's years in the making—they can now have it back and will soon be able to live completely normal lives. Notice how he handles that cup of coffee with relative ease? There's no Wi-Fi connection making that happen, just his brain and muscles. The brilliant devices comes out of DARPA’s Reliable Neural-Interface Technology (RE-NET) program. “Although the current generation of brain, or cortical, interfaces have been used to control many degrees of freedom in an advanced prosthesis," explains Jack Judy, DARPA program manager, "researchers are still working on improving their long-term viability and performance." Judy explains that the new prosthetic technology doesn't plug directly into the brain as some mind-controlled limbs do. Instead, it reads the brain signals that are already pulsing through local nerves and muscles. Indeed, these signals are the some of the same interrupted signals that cause the phantom limb effect. Reconnecting those nerves to a robotic wires seems like a great way forward, and in fact, the military is already moving in that direction. "RE-NET program advances are already being made available to injured warfighters in clinical settings," said Judy.